Apartment N. 250: It can accommodate up to 6 people, it is rented from 95 € per Night (not per person). New Holiday Apartment in Venice for 6 People: This apartment in Venice of 90 Square Meters is located in the historical center of Venice, in the Castello district. It is located on the First Floor, it can accommodate up to 6 people and it has 2 bedrooms and 2 bathrooms. Our stay at apartment 250 went well. The house is comfortable and central. The apartment is up to expectations, it is what you see in the photos and in the description on the website. Very large, airy, clean and excellent location. It's close to everything you need. Wonderful!! From the beginning, relations with the real estate company were very cordial, they showed professionalism, everything that was agreed was fulfilled to the letter. The attention given by both Eugenia and Rossana is very kind and available. Thank you !! Impeccable service, the exchanges with Rossana were very efficient and friendly. We highly recommend this apartment. Very nice flat in a great location! 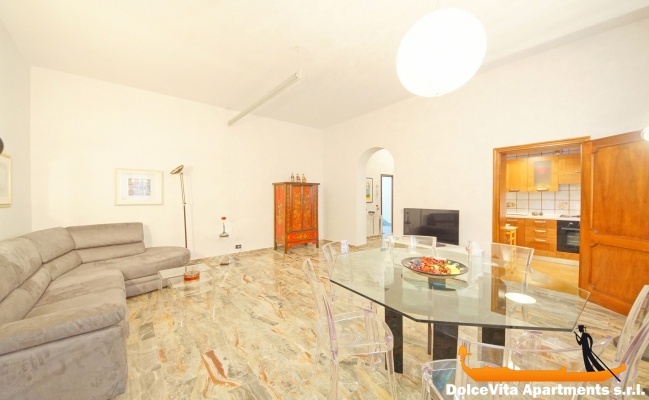 Great location in the central 'Castello' district. Near San Marco, Rialto and the main attractions. 15 min by vaporetto from the station. So comfortable. It has shops and bars and restaurants very close. We had a great time. The apartment is spacious and comfortable (we were two couples and two kids). The area is very beautiful. 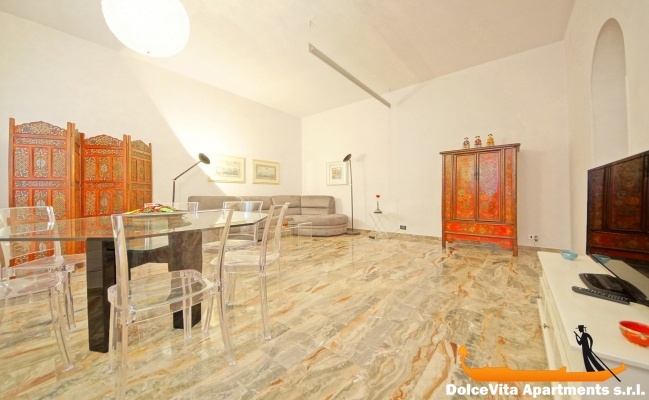 Apartment ideally located 10 minutes from St. Mark's Square and from N and S vaporetti stops. The apartment corresponds well to the advertised description. The rooms are large and well equipped. Very good for your services, for the kindness and availability of Rossana. Very efficiently and with great discretion he solved the problem. We wanted to thank him warmly for his help and kindness. You can communicate it to him. Very satisfied first of all with the services of Eugenia, this person is very competent in her profession. The apartment was great, centrally located and clean. We enjoyed meeting Silvio and appreciated his help on locating great places to eat. We arrived safely back in Los Angeles on Saturday. I tried to log onto the link you sent but it didn’t open fully. We wish to thank you for the excellent service. The apartment was more than we hoped for. There was plenty of room and a great location. I would very much wish to leave a very favorable review and would definitely recommend the apartment. My wife and I and family had a wonderful time in Venice. Thank you so much for your professional service. 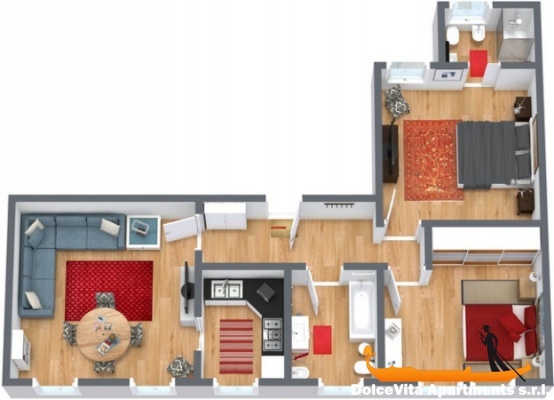 Spacious and lovely apartment located in a quiet area. However, they lack some utensils and pans for cooking, if you wish cooking. Very good service. This is our second rental through this agency that gives us full satisfaction. 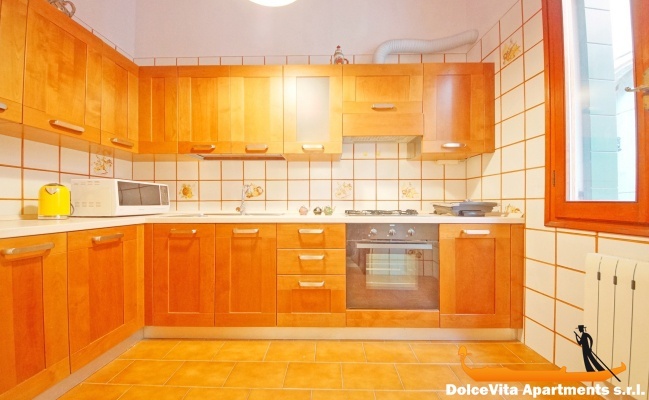 Apartment clean and spacious, very well located, 5 minutes from St Mark Square. Very well welcomed by Sylvio who gave us all the necessary information to our stay. Welcoming, functional, clean, well located in center town and close to shops. Excellent service whether for booking, payment of the deposit, welcome by Silvio and the balance of payment. Service without reproach. Perfect ! The apartment is very nice, it is central and very clean. We were all satisfied. The welcome service was great, thanks to Ursula. The apartment was very nice - Clean and ready for us when we arrived. It was exactly what we expected it was going to be. We really enjoyed it. The apartment 250 we occupied was perfect, well placed, very comfortable. Otherwise everything went well. Orsola was punctual and she informed us well. 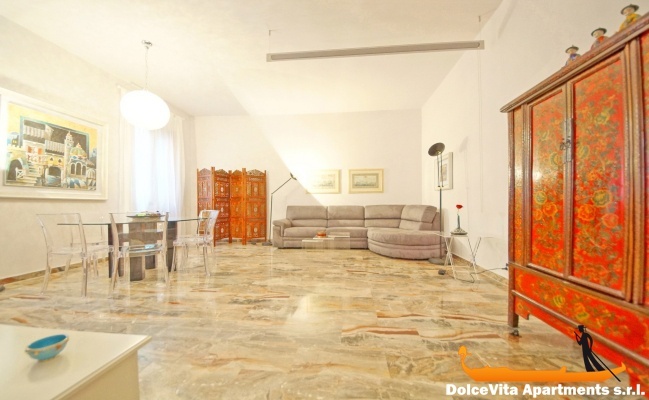 Apartment N. 250 was very spacious, clean and modern! This apartment is great for adults (4 to 6)! The kitchen was very neat and had all of the necessary equipment and dish ware for our stay.This apartment is a good value and very clean and modern. For our stay we have 4 adults! The website service is excellent and I would use them again; score = 5 for website services. 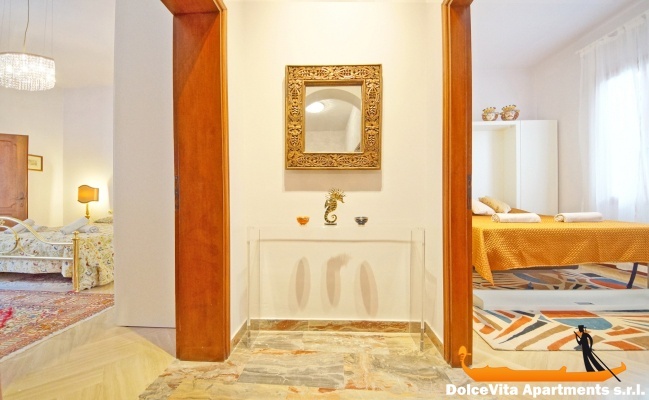 Apartment very comfortable and very well located in the heart of Venice. We hope to come back next time. Really nice apartment. Everything is new. There is air conditioning. Beautiful area. It takes only 5 minutes to go to Piazza San Marco. I'm very happy. If I still go to Venice I want to be still in this apartment. apartment well furnished and comfortable, in a quiet area, convenient for links. booking service punctual and professional.